Good rainy afternoon to you. 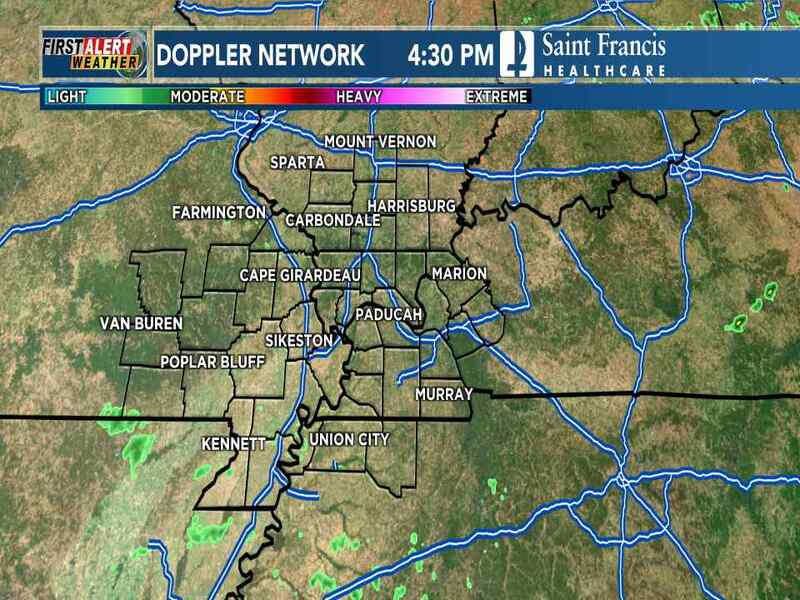 Bob Reeves says the rain in the Heartland should last until tomorrow morning. Here's a slice from our news pie today. Gangs in southeast Missouri--Authorities say their presence is real and they're recruiting kids as young as seven years old. Holly Brantley talks with police about the type of gang activity they're seeing. Teacher's X-rated past--A high school teacher in St. Louis quit her job after students found out about a job she held in the 1990s. A similar thing happened to her in Paducah just five years ago. The science instructor's knowledge of "the birds and the bees" led to an awkward situation. Eyesore cleanup--It didn't take long for the cleanup to begin after you pointed out more Heartland eyesores. Kathy Sweeney updates us on four eyesores where communities are pulling together to clean up the mess. Puppy mill bill--The Missouri Senate is preparing to debate legislation repealing some provisions of a dog-breeding law passed last November by voters. Science Fair fun--Lots of experiments are going on at the Show-Me Center today in Cape Girardeau. Laura Wibbenmeyer gives us a look at some of the science projects from area high school students. Vehicle recall--Honda, Toyota, and Chrysler vehicle owners, there are more recalls. Honda recalled more than 35,000 Civic hybrids in the United States on Monday to fix a problem with the electrical system that could cause the headlights to turn off or the engine to stall. Separately, Toyota recalled about 22,000 SUVs and trucks to address faulty tire pressure monitoring systems and Chrysler recalled about 20,000 Jeep Wranglers over steering issues.